In the summer of 2003 I reviewed the original Dreadnought from Timefactors. The watch proved to be a classic and set the bar for micro-brand value for money (I don’t think there has been such VFM since). A decade on and the Dreadnought Voyager is imminent. Voyager? 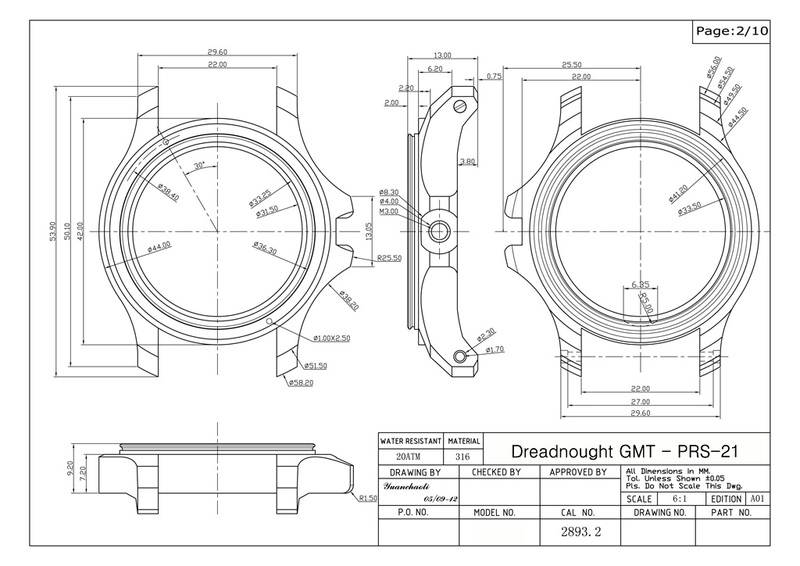 Well, this Dreadnought is equipped with a GMT movement in the guise of the ETA 2893-2, as used in watches extending into the thousands of Pounds (£). Knowing Timefactors, this one won’t extend that far and given that it has been on the drawing board for a few years now and the cult status of the original – the queue for the watch however is likely to extend somewhat further than the Voyager’s hometown of Sheffield. 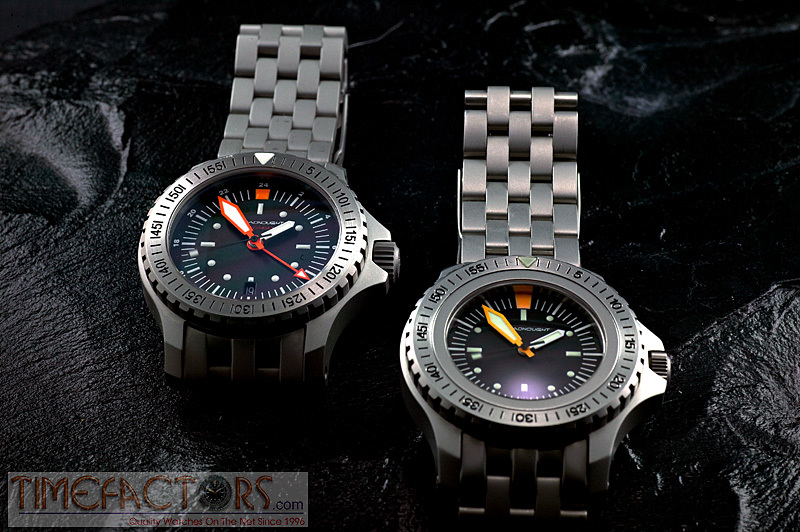 Images have been released today of the finished watch and at first sight, I am of the opinion that this one is an improvement over the original from an aesthetical perspective; plus of course, it is arguably an improvement in practical terms given the extra function that the 2893 permits. No doubt about it, as per the PRS-2, this will be a hefty timepiece and not for the faint of wrist (though it is thinner and lighter). 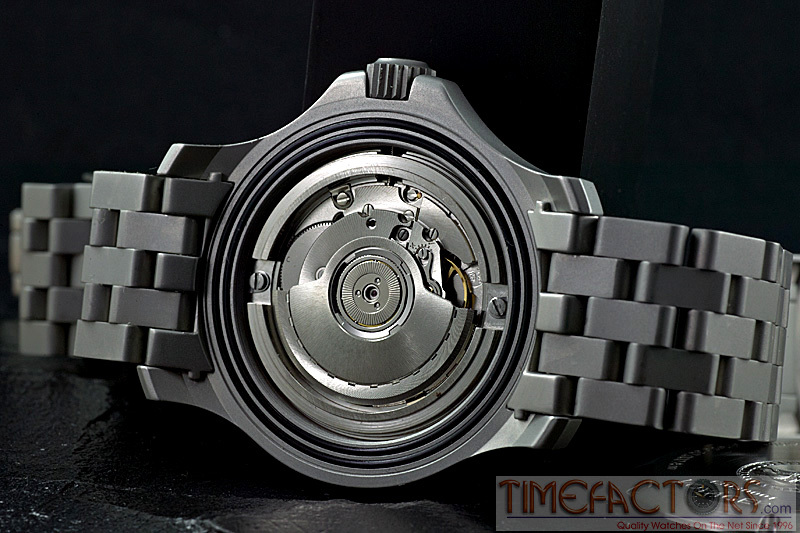 Weight: Watch & bracelet = 250 grammes, the watch head is approximately 125 grammes? 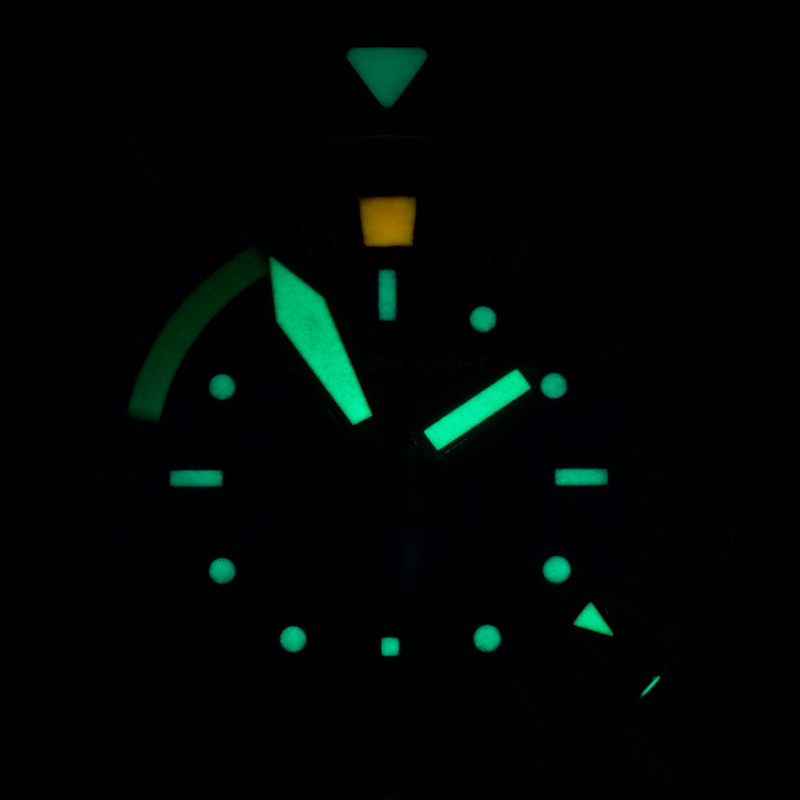 Super Luminova on hands and dial. 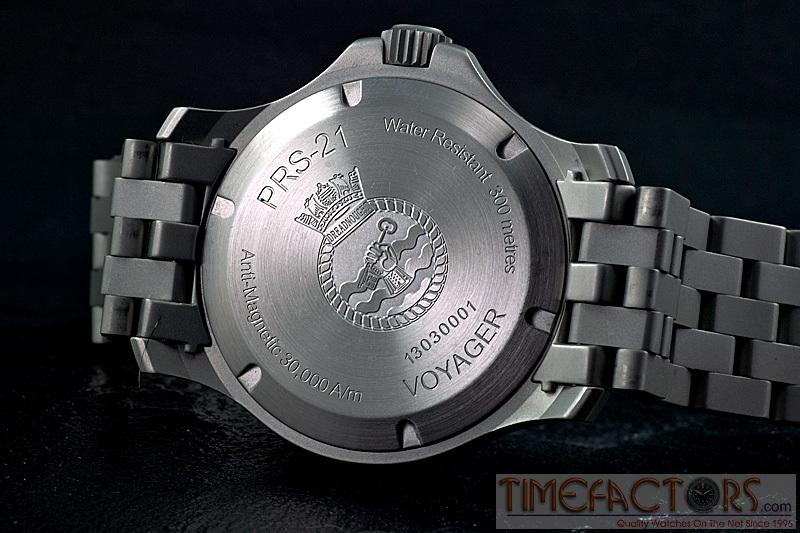 The fully sandblasted finish to the bracelet and case looks to be set off nicely by the brushed, unidirectional dive bezel and as we move inward from such then this is where the aesthetics start to differ from the PRS-2; thus, the PRS-21’s bezel directly abuts the slightly domed sapphire crystal – gone is the plain steel ring which was one identifying feature of the original. I am assuming that this change was necessitated by the decision to opt for the chosen dial design. The result is of course a larger diameter crystal in order to accomodate a larger diameter dial. I think it looks wonderful and I have to say that I prefer this design over that of a decade ago. The images would appear to show a somewhat larger crown than the PRs-2 with chunkier serrations and there should be absolutely no issue at all with crown manipulation for whatever purpose. Again, I prefer the new crown over the old although I never has issue with the latter. I would assume that a larger, easier to grasp crown was specified given that this watch may need more frequent use of such due to the GMT function. The case seems to have a slightly sharper cut to the many facets it possesses; I am uncertain if this is the case (!) without seeing the watch in the metal but importantly, beating within is the ETA 2893-2 GMT movement, clipping along at 28,800 bph with hacking and handwinding facilities. Used by a plethora of manufacturers and capable of great accuracy, the 2893 features an independently adjustable 24 hour hand, thus permitting the reading of two timezones at any one time. 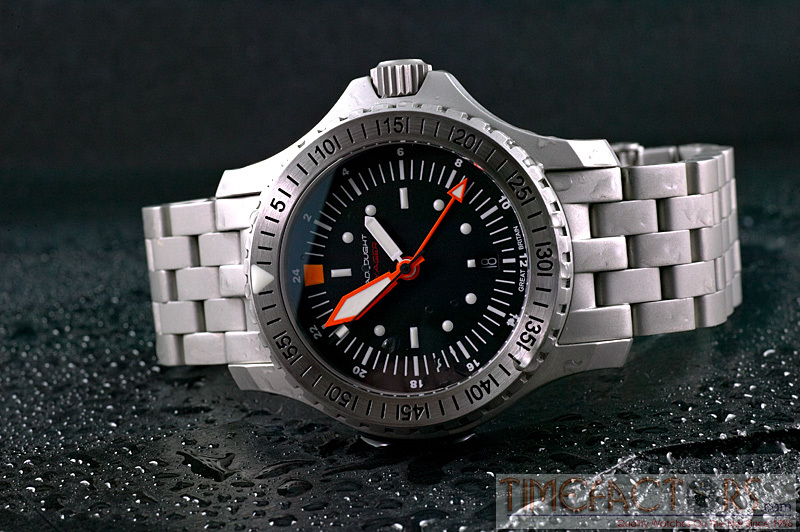 This watch is a diver’s GMT; so, as can be seen, the diver bezel has been left alone and not busied up with a 24 hr scale or some such. So, the larger dial has been used in order to accommodate a 24 hour scale at its periphery. Dial design is very much that of the PRS-2 in terms of the basics; thus, we have the hour markers denoted by dots and rectangles (at the cardinal points), all of which look to have a beautifully healthy pillowed blob of Super Luminova, applied very precisely from what I can see (the 12 marker joined above it by a large orange rectangle). Whilst we are still at the inner dial then script has been kept short and sweet – ‘Dreadnought’ and ‘Voyager’. Perfect. Datewise, then this is tucked away at the 6 position and the white on black is what I would expect. The trademark elongated minute hashes are there in bright white, by the look of it looking quite bold against the matt black of the dial and these hashes serve another useful purpose -they extend out to the minimalist 24 hour scale, thus giving good reference for the wearer as to where the 24 hour time is between the hours (each hash to hash representing 24 minutes). Interestingly, the 24 hour scale is marked at two-hour intervals. Aesthetically I feel that works very well indeed – a full 24 hour scale might have looked a little too busy. That being said, will it be easy enough to read the 24 hour time given the scale’s design? For me at least it is a ‘yes’. Either side of a ‘missing’ digit are of course the previous and next hours – the brain fills in the rest. To top off (or bottom out?) the dial, ‘Made in Germany’ has been replaced by ‘GREAT BRITAIN’…and why not. The plongeur hands of the original Dreadnought have been retained with their respective lengths and colours matching the dial and its markings perfectly. This time round, the orange of the minutes hand, 24 hour hand and 12 hour marker would appear to be a deep blood orange as opposed to the Jaffa of the PRS-2. The seconds hand, in matt black is there to let you know that the watch is running but I am sure will only make its presence known by virtue of the luminous rectangle toward its tip. Finally to the traditionally styled, all orange 24 hour hand, the very tip of which extends exactly to the ends of the minute/24 minute hashes. This has a luminous triangle at its tip and indeed as regards luminosity then I’m assuming again Super Luminova all round as the image would seem to indicate. So to the bracelet; a heavyweight all blasted stainless steel affair with solid end links (attached to the lugs by screws). I’m assuming inclusion of a diver’s extension link within the clasp as per the Dreadnought PRs-2 and thus assuming that this is the same bracelet employed a decade ago. As a whole, the Dreadnought Voyager looks superb, substantial, of excellent quality and a fitting successor to the original of 2003. many buyers have been waiting a long time for this one and the wait, at the time of writing is very nearly over. Shortage of movements from ETA mean that initial supply will be relatively limited and I have the feeling that the Timefactors server will be running a little warm once the PRS-21 appears on the site. Available exclusively from the Dreadnought Store at Timefactors. Tagged Dreadnought, Dreadnought GMT, PRS-21. Bookmark the permalink.